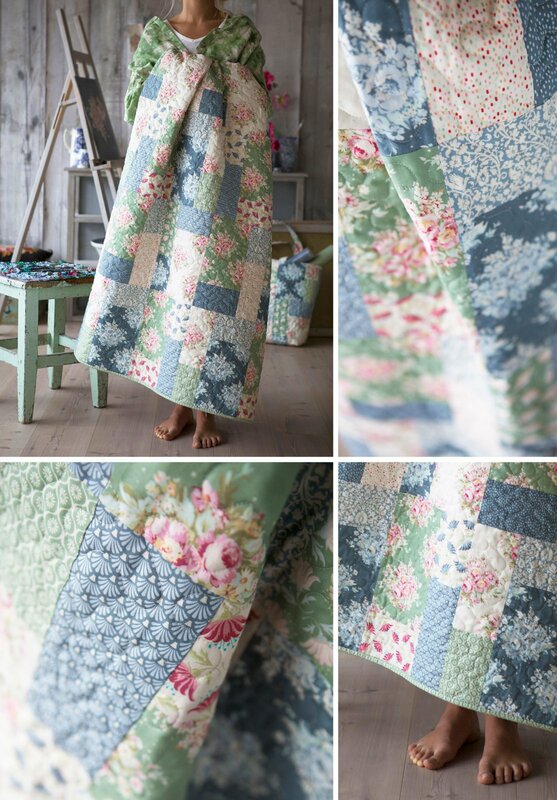 This quilt is simple, but beautiful in the way that it really lets this gorgeous fabric shine. It is created from 4 different sized rectangles. The rectangles are then pieced together to create two larger blocks. This is a perfect quilt for a beginner. "It’s always nice to sew a pretty floral quilt for summer, and the Painting Flowers fabrics makes such a fresh summer quilt. 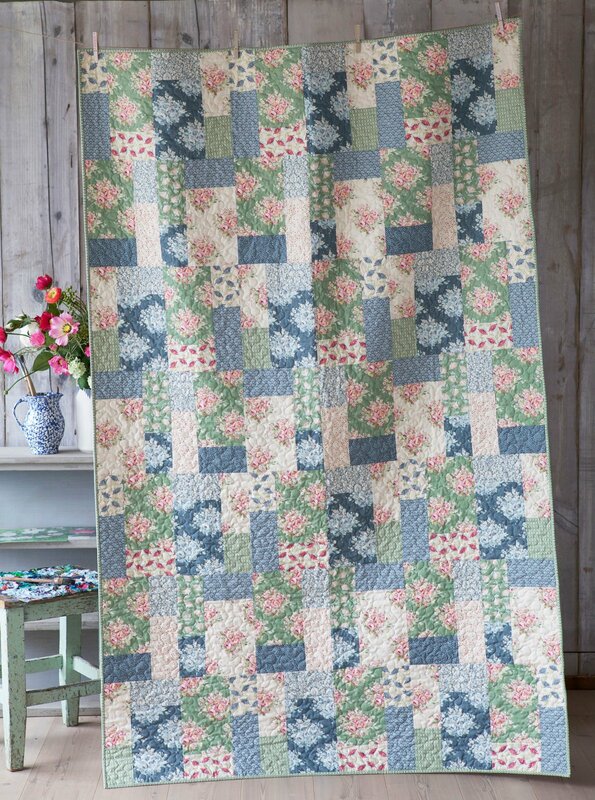 The Painting Flowers collection is a limited edition, but the quilt pattern can work with any fabric. 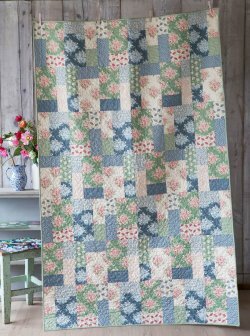 The simple quilt blocs makes a sort of organized chaos patchwork and works well if you use larger bolder patterns on the larger pieces, and then smaller patterns on the smaller pieces."